KDB Featured in the AIA-MN Homes by Architects Tour and on Houzz.com! On Saturday & Sunday September 22nd & 23rd, the American Institute of Architects, Minnesota Society, presents its Annual Homes by Architects Tour (homesbyarchitects.org). Kuhl Design + Build is featured with our Minnehaha Creek Remodel. This house was chopped up and important areas were segregated from others. By ditching the unused back deck and expanding out, we were able to make a beautiful and functional kitchen and family room perfect for entertaining, as well as expand the master suite upstairs with a new bath! Go on the tour in September to check it out in person! Our Medina House of Whimsy was featured in two different Houzz.com articles. 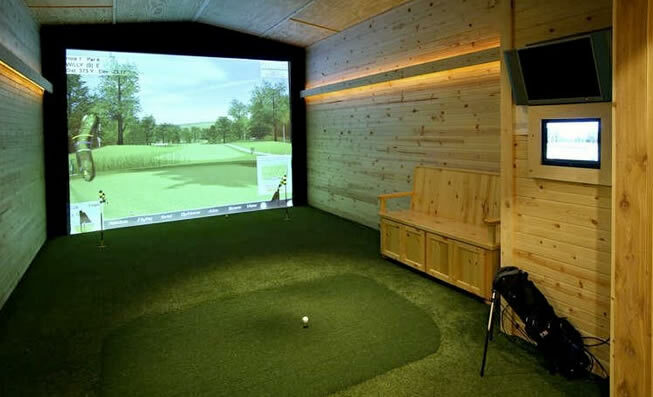 The basement video golf room was featured in their article “Homes Score Above Par With Golf Features”. 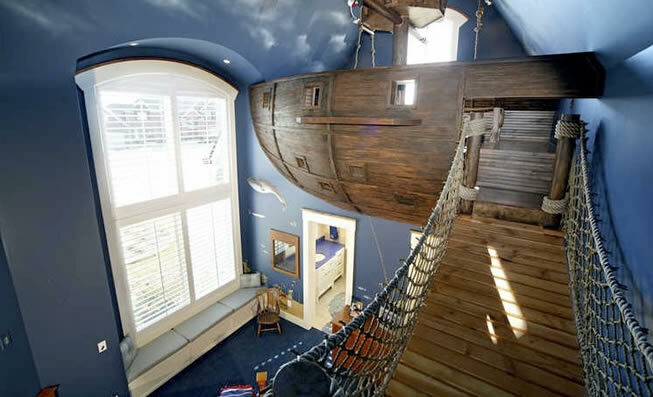 The world famous Pirate Ship bedroom was also showcased in an article, “Houzz Tour: ‘Pirate House’ Lures With Surprises”. Go check them out and get more ideas and inspiration! © Copyright 2007-2012, Kuhl Design + Build, All Rights Reserved.